In this world, there exist people with special abilities to manipulate objects and transform those objects into other objects. These people are known as alchemist. However, this manipulation process does not come without cost, as the basic alchemy rules stated that something with equivalent cost is needed to perform the manipulation. 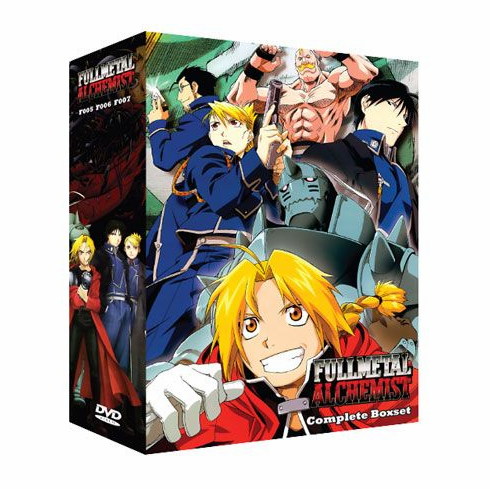 The main character is a famous alchemist named Edward Elric, who loses his little brother Alphonse in an accident. Edward manages to contain his brother's soul in a large piece of armor suit. However, merging the soul and body of the dearly departed comes with great cost, so the two brothers must embark on a journey to find a mysterious power amplifier which can reduce the cost to manipulate objects greatly. Fullmetal Alchemist Movie: The Conqueror of Shambala [1 DVD] It is 1923 in Munich. Two years have passed since Edward Elric's sacrifice ripped him out of his world and into ours, separating him from his younger brother, Alphonse. In that time, Ed's continued research into rocketry as allied him with Alphonse Hiederich, a fellow researcher who oddly resembles Ed's brother. Progress has been slow, however, and Ed has become discouraged. But when he saves a quiet Gypsy girl with the power to read minds, Ed is quickly pulled into a plot by the Thule Society and the burgeoning Nazi Party the could drag both worlds into a terrible war. Back in his own world, Al has been unlocking new secrets of alchemy and gaining incredible powers, all in the hopes of finding Ed. Battling the occult, ideological extremists, and monstrous Homunculi lurking in the shadows, can the brothers find a way to reunite without causing chaos and bloodshed? What will happen when the world of alchemy and the world of modern science collide?